Built on the inalienable truth that there is a beer out there for everyone, the book directs readers to focus on the flavors they already enjoy tasting, such as sweet fruits, roasted coffee, or bitter hops. This unconventional approach allows drinkers of all experience levels to step right up to the bar and order their next pint with confidence. Read Reviews of Great American Craft Beer. 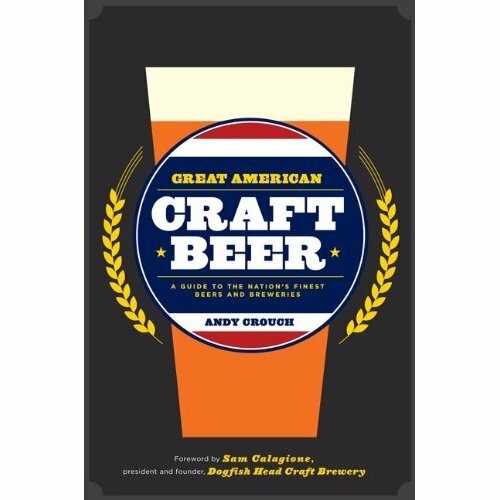 The second book by beer writer Andy Crouch, Great American Craft Beer provides a tasting tour of the nation’s best craft breweries. Published in August 2010 by Running Press, publisher of several books by the late beer writer Michael Jackson, Great American Craft Beer takes readers on a passionate and informative journey through the most palate pleasing ales and lagers produced in America today. The heart of the book focuses on providing readers with a user-friendly and approachable take on the best individual craft beers available on the market. Several hundred illustrated product reviews will endeavor to help everyone from novices to hard-core beer geeks find the best representative offerings, all while learning more about selected beer styles and the enjoyment of flavorful beer. Available at your local bookstore and at all on-line book sellers. Press release for Great American Craft Beer.